One of the highlights for the players at this year's member-guest charity golf tournament was spending time with former World No. 1 Ernie Els. 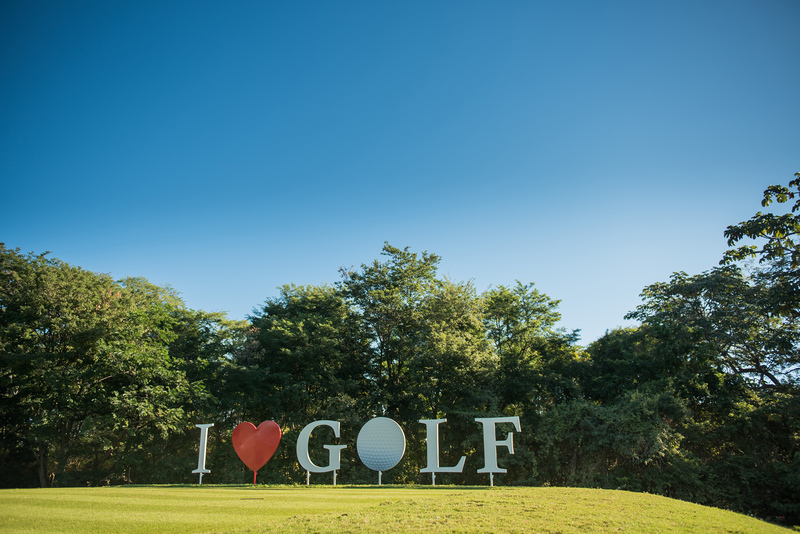 The 2019 Presidents Cup captain was in Costa Rica to host the annual event, in aid of local schools. It’s January in Guanacaste and the Papagayo Wind Jet is working its magic in the eastern tropical Pacific. Thankfully, the seasonal phenomenon that supports this marine biodiversity hotspot didn’t come into play at the annual member/guest charity golf tournament, held just last week. With sixteen teams competing, and more than one hundred and twenty members and guests attending the gala celebration, the inaugural member/guest golf event exceeded all expectations. Congratulations to the tournament winner—Joey Spielman, Elizabeth Herrera, Rodrigo Barrantes and Kieran Stolorz— with a net score of 56. The most significant overall winner was our community, raising $55,000 for Guardia High School. It’s just the beginning of a long-range, multi-year commitment to provide more opportunities for local students and their families. More on the Guardia initiative to follow in the coming weeks.